Wanda Qingdao Studio: Building trust across the nations, one business at a time. Qingdao Oriental Movie Metropolis: BUILDING TRUST ACROSS THE NATIONS, ONE BUSINESS AT A TIME. Chinese customers love Hollywood storytelling, but the Chinese government does not trust Hollywood -- a quota limits the number of foreign films released each year, unless the studio agrees to co-produce the movie with a Chinese partner. Wanda Media, a subsidiary of Wanda Group, embraced this chance to lead the way by opening the Oriental Movie Metropolis, the world’s largest studio for international cinematic co-productions and joint ventures. ZhengBang was hired to work on the Oriental Movie Metropolis in developing brand architecture and positioning, translating it to design strategy, and building visual identity. Wanda Group, embraced this chance to lead the global cinematic cooperation by opening the Oriental Movie Metropolis, the world’s largest studio. 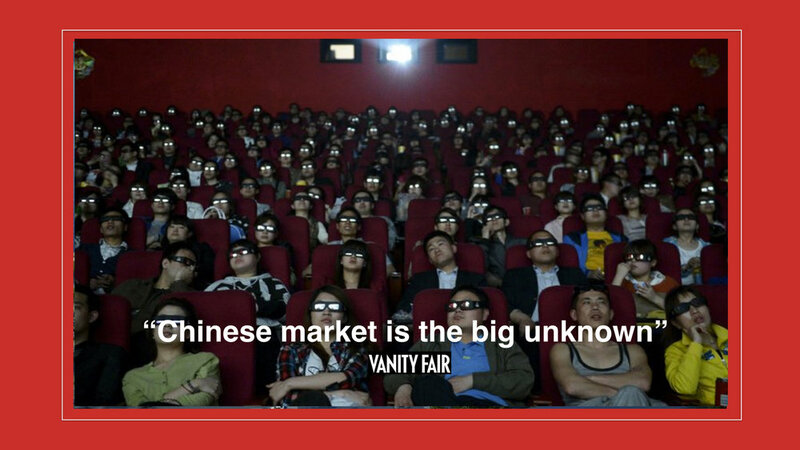 The cinematic industry in China is still immature, and appears to most as unstable and uncertain. But unlike anyone else, Wanda Media has made many recent moves to grow into a mature global player, with the ambition to redefine the industry. Through series of mergers and acquisitions, Wanda Media became one of the world's leading entertainment companies and a symbol of movie industry in China. It owns major cinemas and media assets around the world, including AMC Theatres and Legendary Entertainment in the US. Wanda is unique in that its largest equity is the trust of its partners, and a strong reputation among industry professionals. Envisioning the brand architecture and visual identity for Oriental Movie Metropolis, we decided to update and evolutionize the logo, rather than revolutionize it. We wanted to build visual connections between the mother company’s brand and its subsidiary. Design strategy was based on embracing the features of the current logo, characterized by themes of “cycles” and “energy flow” drawn from Daoism and Tai Chi. We designed a brand promise to pull in investors and facilitate communication between partners. We positioned Oriental Movie Metropolis as a committed cross-cultural bridge, which not only provide a platform for movie production, but also for exchanges and information sharing that will increase cultural understanding and trust. We positioned the website as a source of information for Hollywood investors & journalists, providing what any actor, director, producer or studio would need to know for establishing or working with any cinematic join ventures. We designed visual and web-identity keeping the “energy flow” and embraced the traditional lucky color (red) of China with a clear reference to the movie industry. We positioned the website as a source of information for Hollywood investors & journalists, providing what any actor, director, producer or studio would need to know for establishing or working with any cinematic join ventures. Judging from the brand launch, it was extremely successful -- from positive press on Bloomberg to closing co-production deals highlighted by “The Great Wall,” the first blockbuster Chinese-American cinematic joint venture. Oriental Movie Metropolis will fully open its doors in August 2018. "Warner Brothers" is already in Qingdao!